إن فندق Noosa Hill Resort بموقعه الممتاز في هذه المنطقة السياحية هو نقطة انطلاق جيدة لنزهاتك في هذه المدينة المذهلة. يمكن من هنا للضيوف الاستمتاع بسهولة الوصول إلى كل ما تقدمه هذه المدينة النابضة بالحياة. يقع هذا الفندق الحديث على مسافة قريبة من المعالم السياحية الشهيرة. كما يقدم Noosa Hill Resort الكثير من الخدمات لإغناء رحلتك في المدينة. تتضمن الميزات الرئيسية في هذا الفندق: واي فاي مجاني في جميع الغرف, تسجيل وصول/خروج سريع, تخزين الأمتعة, واي فاي في المناطق العامة, صف السيارات. في الفندق غرف نوم يتجاوز عددها 35، كلها مجهزة بعناية وجمال وبعضها مزود بـ تلفزيون بشاشة مسطحة, مرآة, صوفا, حوض الاسترخاء, غرف لغير المدخنين. يقدم الفندق مجموعة رائعة من الخدمات كمثل ساونا, مسار جولف - ضمن 3 كم, حمام سباحة خارجي, سبا, ملعب تنس، لجعل إقامتك تجربة لا تنسى. اكتشف مزيجاً ساحراً من الخدمة الاحترافية والخيارات الواسعة من وسائل الراحة والمتعة في Noosa Hill Resort. مكتب الإستقبال مفتوح من 07:00 AM إلى 09:00 PM. الضيوف الذين سيصلون خارج هذا الوقت بطلب منهم التواصل مع العقار مباشرة قبل موعد الوصول لترتيب هذا الأمر. يكون تسجيل الوصول بين الساعة 2:00 بعد الظهر والساعة 9:00 مساءً فقط. Good sized apartment but it was a little run down, kitchen had everything you could need. ?A bit too far to walk with kids to Hastings Street as it’s a massive hill on the way back. Bathrooms smelt bad and mould on ceiling and around shower, Wifi was pretty poor, Air con points to main area and cools it really well along with the back bedroom but front room stays very hot overnight. Unfriendly furniture for our 1 year old, we had to move some furniture out on the balcony deck so he couldn’t pull it down on himself and the coffee table had really sharp edges, tv unit was glass and he kept trying to climb it and pull it forward - was a headache. The owners hadn’t arranged the cot despite putting it in the request and calling them and speaking to them once I’d booked to ensure it was arranged. To their credit they arranged it within 2 hrs once we got there but found the owner slightly rude and made out like it was our fault. I probably wouldn’t stay here again. Very spacious apartment. However $230 per night we believe a little over priced. Staff were very helpful and friendly. Rooms and facilities were very good. Resort was also close to restaurants, shopping centres and beach. A great place to stay. 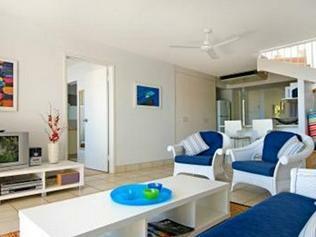 Location, quality of staff service and the cleanliness of the apartment stood out for us. We were two married couples that required a two bedroom apartment with two queen beds. 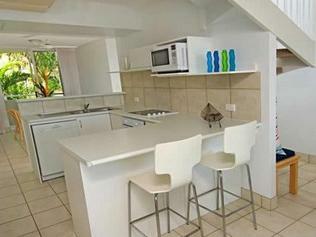 Unfortunately, two bedroom apapartments at Noosa Hill only has one queen in the master bedroom and twins in the second room. However, once Tony and Liz became aware of our requirements, they arranged to join the twins to great a second queen so that on our arrival we had the required two queens! We had a fabulous ti.e in and around d Noosa Heads and being happy and relaxed staying at Noosa Hill Resort made that possible. I would highly recommend this resort and hopefully we will return sometime soon. 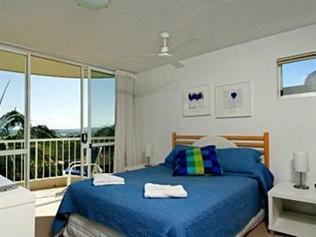 Staff were good, room with rooftop spa was great and spacious and close enough to main street of Noosa. 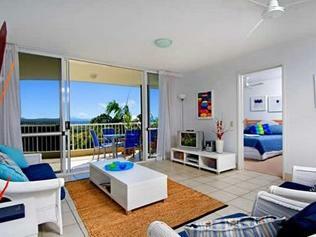 Our recent stay at the Noosa Hill Resort surpassed our expectations for the cost. The unit was very comfortable clean and had all required amenities. 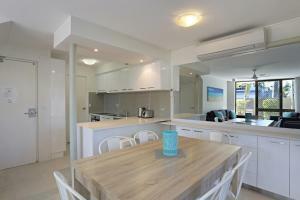 The location of the resort is great just 700 m walk to Hastings street and 300 m to Sunshine beach road another street with plenty of food and drink options. Excellent appartment, extremely clean. Kitchen was better equipped than mine at home. And I loved the sign, please load the dishwasher before you go. No need to wait around until it's finished. Comfy beds and beautiful bathroom. We loved it. Internet was slow and blocking some pages but allowing other sites fast. I was able to watch movies. There is a cap on data. I understand that. But it is complicated and expensive to reload. I was prepared to repay but failed. The staff were very friendly though. Staff aware of internet issues and apparently have planned to change? Pool and free parking is great. Great location, close to both Hastings St and Junction. Fabulous managers. The living room and each room was connected to a balcony, things were quite clean and the sound isolation between apartments was very good. Staff were friendly and we had a brilliant time. 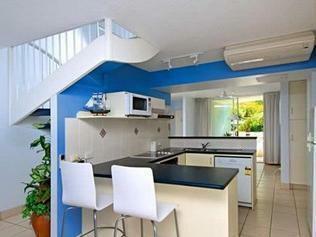 View, peace and quiet, spatious rooms and to die for balcony. Perfect for those escaping the city! It was much more than was expected! The owners were very flexible and friendly. The apartment was spatious but could use a thorough dust! Balcony views amazing and the hill climb to the hotel provided much needed incidental exercise! It promises views but does not have any, the room was smelly dark and tired.